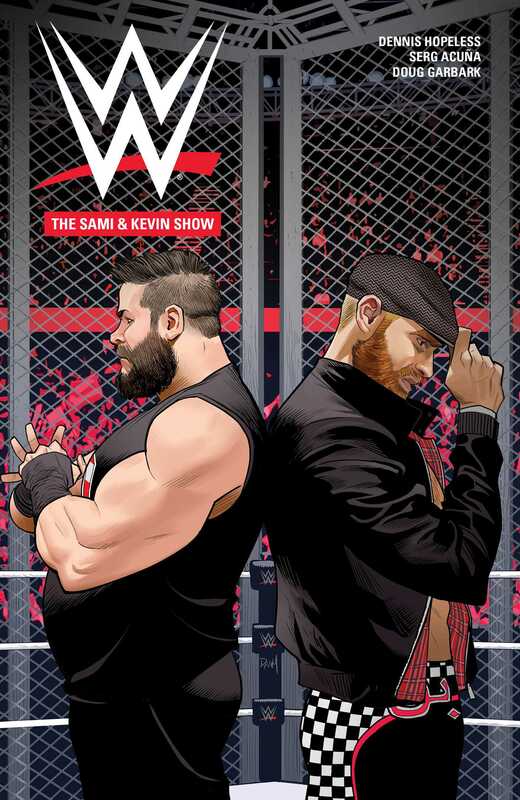 Long-time frenemies Kevin Owens and Sami Zayn take the spotlight, as Hell in a Cell looms. While KO’s rivalry with Shane McMahon gets increasingly heated, Sami, in the midst of a losing streak, reconnects with his fellow Canadian. Will Kevin finally bring Sami to his side? This volume also features a short story co-written by WWE Superstar Samoa Joe, finally revealing his reasons for leaving NXT. Prepare to fight anyone, anywhere with writer Dennis Hopeless (Jean Grey, Spider-Woman) and artist Serg Acuña as they focus on of the most volatile relationships in WWE.